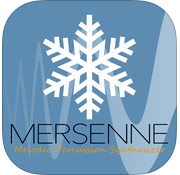 Mersenne by iceWorks is a melodic percussion synthesizer with intuitive layout and characterful sound. It’s based on FM synthesis with a carrier, two operators, resonator, and a noise generator. You can get some seriously hard sounding synths from this one. Good for new Bass, Dubstep, and Industrial music. LAUNCH SALE: 30% OFF FOR A LIMITED TIME! You can change which octaves are shown by dragging on bottom of keyboard.